Yes, I did it ! I was not quite sure that I would be able to finish on time. That’s the first time I register to 3 different food challenges at the same time and I have to say that I was not thinking clearly … I over estimated my ability to comply to this challenge together with my daily routine. This is my first participation to the bataille food. 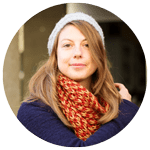 If you want to know more about this challenge and check the list of all participants, please visit the french version of this post. 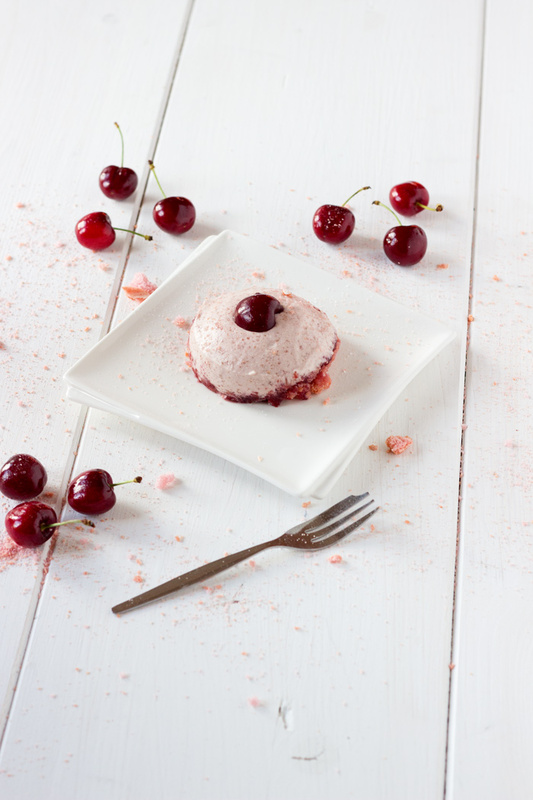 So for my first participation, I choose to make some delicious mini cherry bavarois recipe. I chosed to put only a little bit of sugar, but you can add one tablespoon of sugar more if you wish too. Wash cherries, hull and stoning. Place the 2 sheets of gelatin in a bowl of ice water. Add some sugar and cook on medium heat for 5 to 10 minutes. In the meantime, make the mascarpone chantilly. Add mascarpone and full fat cream in a cold mixing bowl (best to place few hours in the freezer first) and whip cream until you get a homogeneous chantilly. Reserve. 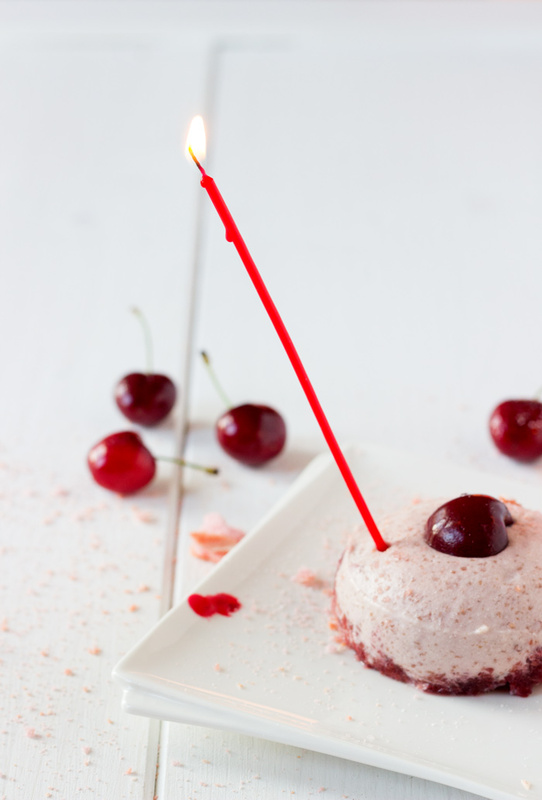 Remove cherry coulis from the heat. Add gelatin. Mix slowly. Sieve putting aside cherry purée and add to the chantilly little by little. Be carefull so the cherry coulis isn't too warm. 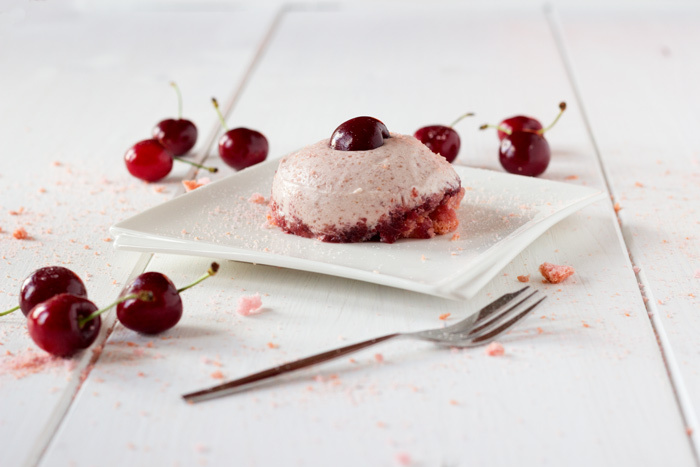 Pour the cherry mousse in your individual moulds and place in the fridge or in the freezer (for 40 minutes) to solidify. Crumble pink biscuits. Add 8 tablespoons of grenadine sirup mixed with water, mix and reserve. 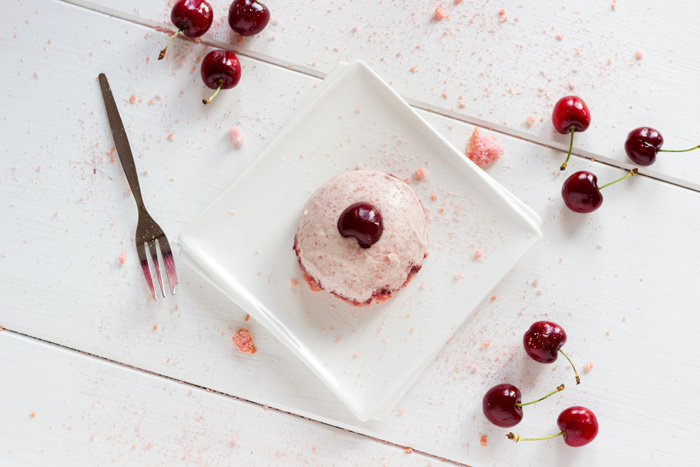 Remove the moulds of the freezer, cover with cherry purée and finish with a layer of crumbled biscuits. Reserve in the fridge and use your hairdryer to remove the mini bavarois from the moulds. Thank you very much for reading. Do not hesitate to register to the newsletter or follow me on social media in order to receive the latest recipes. How beautiful!!! I wish I could taste those biscuits!